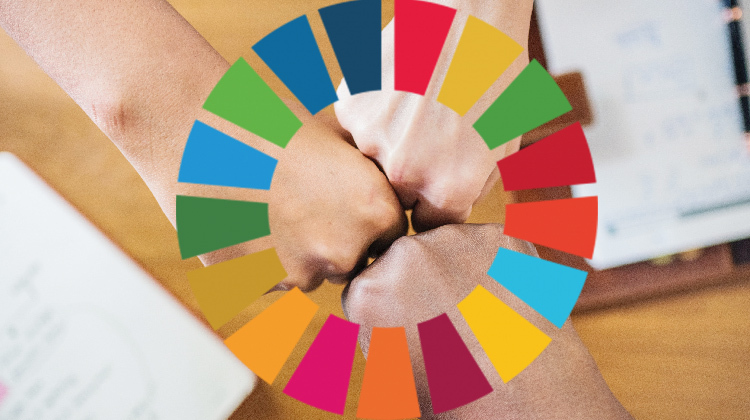 The Spanish Global Compact Network and the Basque Government, together with the three Basque employers’ associations CEBEK, SEA and ADEGI, have achieved a pioneer public-private partnership to promote and localize SDGs within regional companies. To this end, they have signed an Agreement for the contracting of training products adapted to the Basque companies; training tools in 2030 Agenda and business management tools based on it. With this training, it is expected to the companies are qualified as valid interlocutors, and their results are improved from the perspective of sustainability. Specifically, the agreement describes the development of the following tasks: Creation of the online training platform; Adaptation of the training module; Monitoring of the use of online training; Adaptation and customization of the SDG online management tool; and Monitoring and assessment of the use of the management tool. The project, in which the Department of Economic Development and Infrastructures and the General Secretariat for External Action are collaborating, will be launched through an initial communication addressed to 4,000 companies, which will begin in March and will end in December. On 25 September 2015, the United Nations General Assembly unanimously approved the 2030 Agenda for Sustainable Development: a plan of action for people, planet, prosperity and universal peace with 17 Sustainable Development Goals (SDGs) to be developed by 2030. The Basque Government is committed to the contribution and implementation of SDGs in the territory. Thus, last April 2018 the Basque Government approved the 2030 Agenda Euskadi Basque Country. However, the steps taken in Euskadi do not end with the contribution made by the Basque Government and public policies to the 2030 Agenda. There are many actors in Euskadi working for the 2030 Agenda; the private sector among them. The private sector is called upon to play a central role in the definition and implementation of this roadmap, which is both a responsibility and an unprecedented opportunity to align the objectives of a business with those of equity and sustainability. For this reason, companies appear as a key agent for the implementation of the Agenda, as well as a fundamental instrument for financing and achieving the SDGs, becoming a fundamental collective in the implementation of the 2030 Agenda. The SDGs present an opportunity to develop and implement solutions and technologies from the business sector, which will enable face the world’s greatest challenges in terms of sustainable development. Since the SDG build the global Agenda for the development of our societies, they will allow leading companies to demonstrate how their businesses help the advance of the sustainable development, both helping to minimize negative impacts and maximizing positive impacts on people and the planet. Global Compact, as a UN initiative for private sector business sustainability, is a catalyst of the efforts of companies and organizations in the achieving the SDGs. In addition, it also works to promote its 10 universally accepted principles in four areas: human rights, labour standards, the environment and anti-corruption. The Global Compact and the Basque Government have been working together for years to disseminate the SDGs in the Basque business fabric. The result of this collaboration is this agreement signed together with the three Basque employers’ associations.